In a recent post, I discussed a scenario where we would take our mortgage related expenses and invest them in dividend stocks. We estimated that over the course of a year, these expenses (mortgage, homeowner’s insurance, and property taxes) total $18,000. Each month we are setting aside $1,500 per month to cover our cost of owning a home. This is part of our monthly budget that tracks all of our monthly spending. I also calculated that if we didn’t have to account for these expenses and invested the funds instead, we could earn over $785 in future dividends. Note – These estimates are based on an average yield on cost of 4.375% from the Money Sprout Index. As great as it would be to take that $18K and invest it each year into dividend stocks, that just isn’t feasible at this point. While we could certainly do some things like downsize our home and move into a less expensive house – completely eliminating these expenses is not an option. That brings me to my next thought – what about building new side income streams that earn us $18,000 in additional income instead? This income could then be invested into stocks and generate tons of future dividends. Earning an additional $18K per year seems to be a lot to me, considering we don’t have a lot of side income coming in right now. However, if I break it down by the month or even by the day it doesn’t seem so drastic. Breaking that $18K down to the month, we are back to $1,500 per month. While certainly still a lot of extra income, earning $1,500 per month seems a lot more sustainable than $18,000 per year. 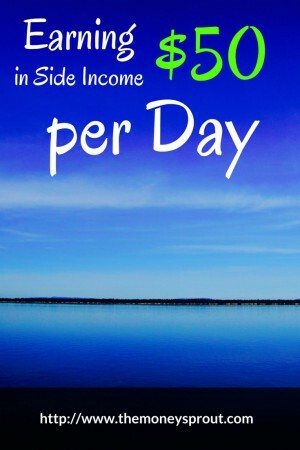 If we take it a step further, we would need to earn $50 per day to total $18K annually ($50 x 365 days). Now that certainly seems a little easier when we break it down by the day. Still a lot of work to put in to get there but something we could certainly manage. Heck my oldest son who is 11 picked up a quick $40 yesterday from helping do yard work around the neighborhood in 5 hours. Certainly I can come up with a few side hustles to do the same? With proper planning and some hard work, I think we can shoot for earning an extra $50 on average per day and reach this goal! It is time to get serious about building another source of side income. 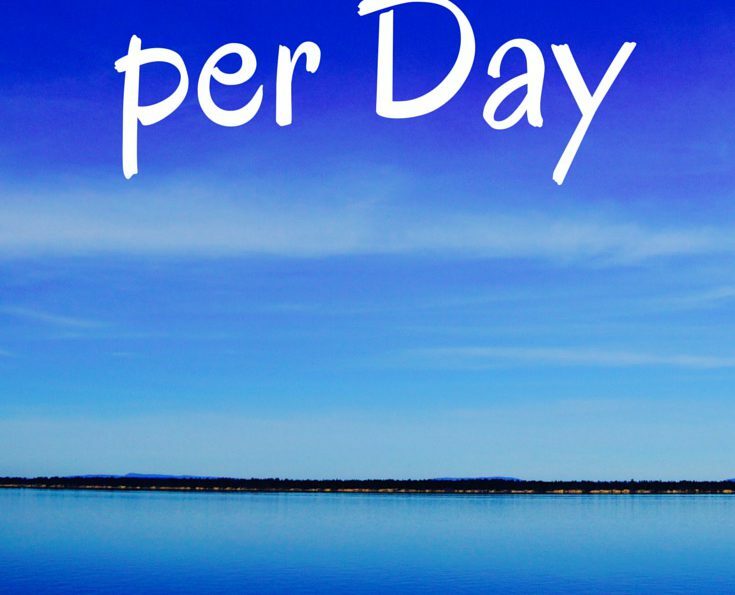 If we set our goal to earn $50 on average per day, it seems a little more manageable – although it is the same as setting a goal to earn $18K per year. 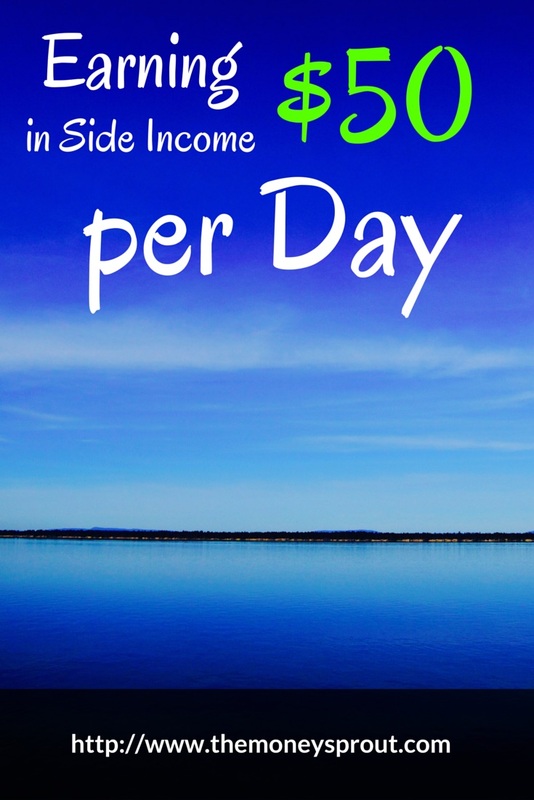 Just think of what an extra $50 per day could mean for our future dividend income? Another $750+ in future annual dividend income just in the first year. If we could repeat this process for multiple years, then we are talking about a bunch of future dividend income that can launch us towards our goals for financial independence. How much do you earn from your side hustles? Do you use these extra funds to generate more income (i.e. invest)?